Years ago when sewers made stitch width or stitch length adjustments the only way to see the changes where to stitch the stitch out on fabric. These days many of the electronic sewing machines have full color touch screens and let users see the changes they are making to the stitches. But did you know that the pictures on screen show ACTUAL SIZE? While filming the tutorial videos on the PFAFF creative 3.0 sewing and embroidery machine, I snapped this picture. It shows the exact adjustment to the stitch showing on screen is exactly the same sewn out results. The stitch pictured is the triple zig-zag stitch that most machines have stretched out to the widest (9mm) and longest (12mm) settings possible. I love triple straight stitches and triple zig-zag stitches! These stitches appear to be sewn with super thick thread because the stitch is tripled. Here at Heirloom Creations we no longer stock topstitching or jeans thread because everyone who has taken our Sewing Mastery classes know that they have these stitches and can use any color of thread thread – even variegated to achieve the thicker looking stitches. The triple straight stitch can be used as a reinforced stitch. It is also a stretch stitch and can be used on the seam for pants in the crotch. Having both strength and give will prevent any embarrassing moments. These triple stitches look professionally sewn and will not come out. I did not find another place to make my request- ask a question. I have a new Creative Icon. I moved from the purchase state and can not find good documentation on using the machine. I have tried the built-in ‘manual’ and find it almost useless. Pfaff recommended your site and it is great. Are you planning a series on the Creative Icon or do you know of a source of direction and documentation? We are to start filming our most popular in-store sewing machine mastery class “Stitching Cosmos” Spring of 2019. This class will be filmed on a Pfaff icon!!!! Whoot! 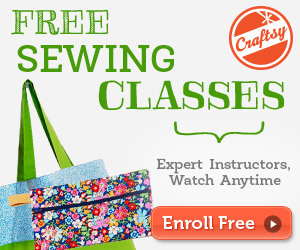 Please sign up for the SewingMastery.com e-mail to be notified as we film future machines and online courses.